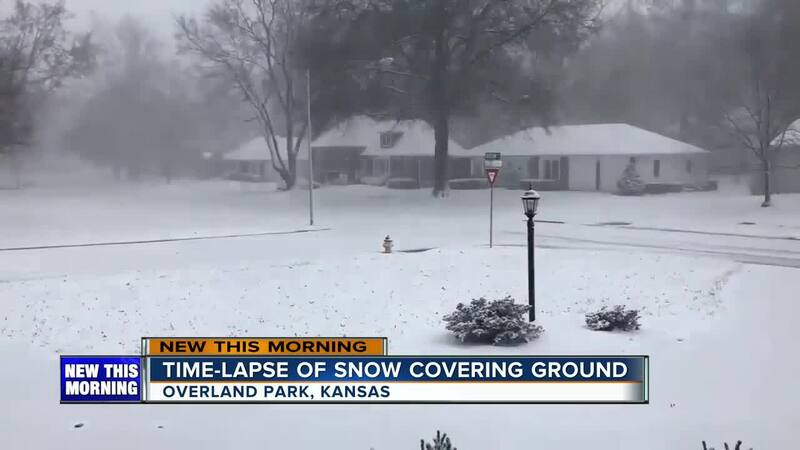 Time-lapse video recorded this weekend in Kansas shows how quickly the snow fell in just a short period of time as wintry weather blasted much of the Midwest. 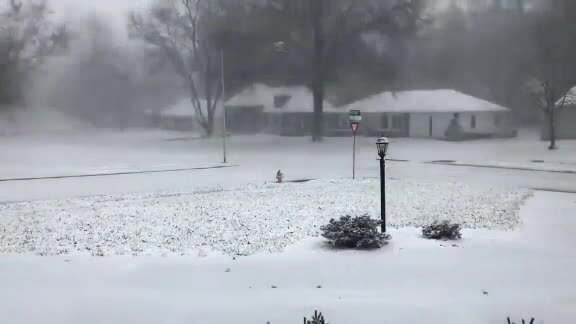 (CNN/AP) - Time-lapse video recorded this weekend in Kansas shows how quickly the snow fell in just a short period of time as wintry weather blasted much of the Midwest. The video was recorded Sunday by Marc Kingston of Overland Park, Kansas. The 25-second clip shows the ground going from white to green in about three-and a half hours. Hundreds of flights were canceled and schools in several states are closed after the snowstorm blanketed much of the Midwest on Monday. The National Weather Service issued blizzard and winter storm warnings for a large swath of the central Plains and Great Lakes region. More than 1,200 flights headed to or from the U.S. were canceled on one of the busiest travel days of the year. Part of Interstate 80 in Nebraska was closed Sunday after multiple accidents in the snowy conditions. It was later reopened. Classes were canceled at schools in parts of Kansas, Missouri, Iowa and Illinois.